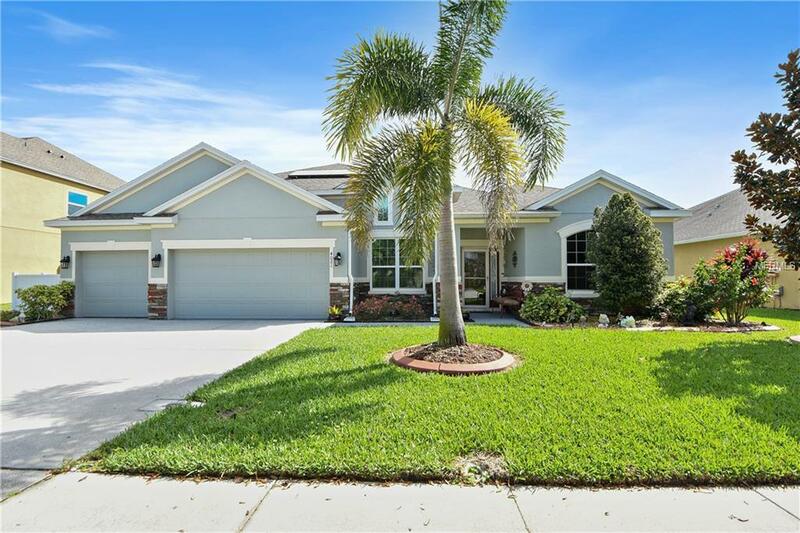 This stunning 4 bedroom, 3 bath home has so much to offer! Located in one of St. Cloud's most spacious and attractive subdivisions, "THE ESTATES" in STEVENS PLANTATION. This home sits on a huge landscaped lot, Beautiful stone accented front exterior, features a 3-car garage and is ENERGY EFFICIENT, live the green life and save on bills, SOLAR PANELS have been installed! Stepping into the front entry is a nice sized office space, The ceramic tile entry opens up to a spacious living and dining room area featuring a nice split plan with a bedroom Wing too and the secondary bathroom that opens up to the back lanai. Towards the back of the house you will find a gorgeous fully-stocked kitchen with rich dark wood finished cabinets, granite countertops and lots of cabinet and counter space as well as all ss appliances. Through the kitchen is the inside laundry room. The family room has a great space for even your largest furniture and tv, along with an informal dining area towards the Lanai Entry. 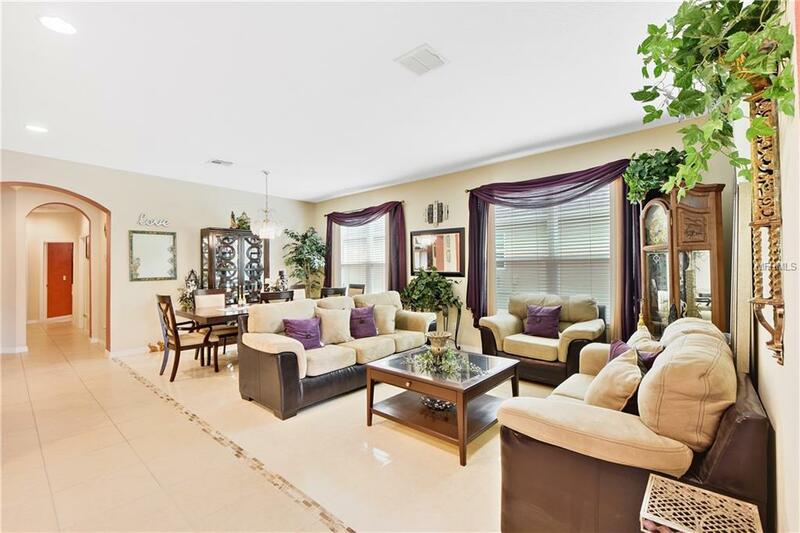 Tucked in a quiet corner of the family room is your large master suite with spa like master bath featuring a Garden soaking tub, stand up shower and double vanities. 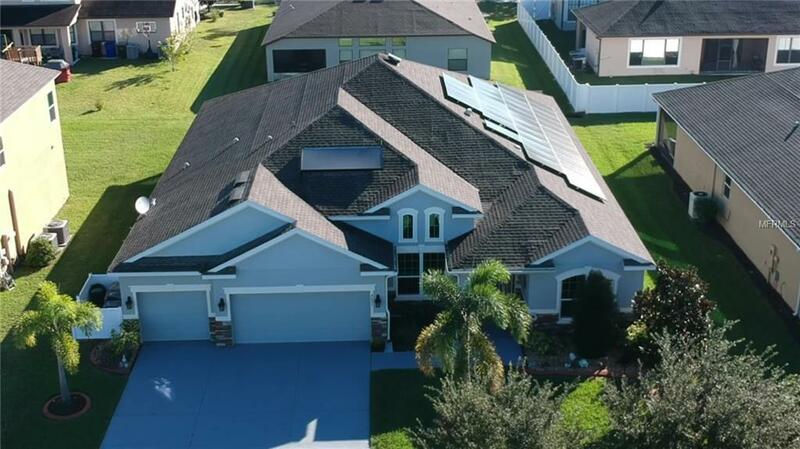 Great opportunity to own this immaculate home!Stevens Plantation is located less than a mile away from the highly-rated Saint Cloud Preparatory Academy and Saint Cloud Elementary School, and has convenient access to both the Florida Turnpike and Highway 192. 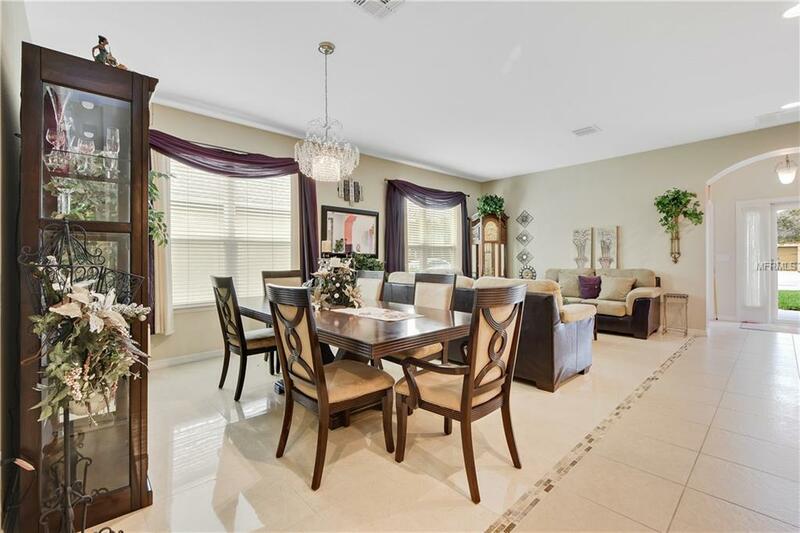 Just 20 min from Orlando and Lake Nona Medical City and Orlando International Airport.